Busan 16th, October - "The elegance and beauty Korean actresses bring to the screen is truly remarkable. If I’m ever cast in a Korean movie, I definitely want to try to express that beauty myself.” - Zhou Xun “Chinese action does a beautiful job at showing feminine lines. You might not believe it, but I really love action movies. I really want to star in a Chinese action movie sometime.” - Jang Jin-young. The two most beautiful stars at the Pusan International Film Festival this year met up at the Haeundae Beach in Busan on Sunday afternoon, Korea’s Jang Jin-young and Zhou Xun, the Chinese actress, whose roles in “Perhaps Love” and “The Night Banquet” have won her adoring fans in Korea as well as her homeland. The two, who the day before had never once met, were drawn together by a world’s first event that opened there. On Monday, with a press conference and a red carpet event, the Star Summit Asia formally gets underway. In its first year, the summit, which is one of the side events for the Asian Film Market, gathers Asia’s biggest stars together in one place to introduce their talent and offer production companies who are casting their next film a closer look. It is also a platform to arrange co-productions. The event has three sections: “Curtain Call” for top stars, the “Casting Board” for promising new talent, and the “Special Section” for Hollywood’s Asian newcomers. Of course it was the “curtain call” that had place cards set out for Jang Jin-young and Zhou Xun. Only Hwang Jung-min and Jang Jin-young were chosen to represent Korea, and Aoi Uoo (Japan) and Guo Xiaodong (China) were two of the six chosen from overseas. Zhou, who was listening intently at her side, said, “I too tend to get worried… acting in front of the cameras isn’t easy, and I thought that it would be extra frightening at this separate event where I would have to show and express who I am.” There is criticism that the Star Summit is an artificial event, but with major distributors and production companies including Japan’s TohoTowa and Shochiku, China’s Beijing Poly Bona Film, EDKO Films of Hong Kong and Studio Canal from Europe present, the real success of the event is drawing attention. The two stars were awkward around each other at first, but quickly warmed to one another. “I want to see the midnight screening of ‘Midnight Passion,’ but I’m worried that I might doze off,” said Jang, the big sister of the two, to which Zhou Xun said, “I told you that I would wake you back up,” while poking her in the ribs. Jang recalls that her last film “Blue Swallow” was shot in China. Zhou asked, “You like spicy food, right? If you come to Beijing I’ll definitely treat you to some good food.” The two exchanged phone numbers. 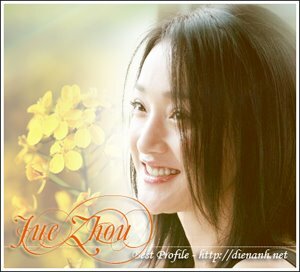 Zhou Xun chatted with fans on October, 18th. Happy Birthday To Our Beloved Zhou Xun !